Legend has it that Robin Hood was an outlaw living in Sherwood Forest with his ‘Merry Men’ – but did he really exist? There are several versions of the Robin Hood story. The Hollywood one is that of an incredibly handsome man – Errol Flynn – clothed in garments of Lincoln green, fighting and outwitting the evil Sheriff of Nottingham. However the first known literary reference to Robin Hood and his men was in 1377, and the Sloane manuscripts in the British Museum have an account of Robin’s life which states that he was born around 1160 in Lockersley (most likely modern day Loxley) in South Yorkshire. Another chronicler has it that he was a Wakefield man and took part in Thomas of Lancaster’s rebellion in 1322. One certain fact is that he was a North Country man, with his traditional haunts as an outlaw in Sherwood Forest and a coastal refuge at Robin Hood’s Bay in Yorkshire. One well known story about Robin that places him in Whitby, Yorkshire, is about him and Little John having a friendly archery contest. Both men were skilled at archery and from the roof of the Monastery they both shot an arrow. The arrows fell at Whitby Lathes, more than a mile away. Afterwards the fields where the arrows landed were known as Robin Hood’s Close and Little John’s Close. Robin became a popular folk hero because of his generosity to the poor and down-trodden peasants, and his hatred of the Sheriff and his verderers who enforced the oppressive forest laws, made him their champion. 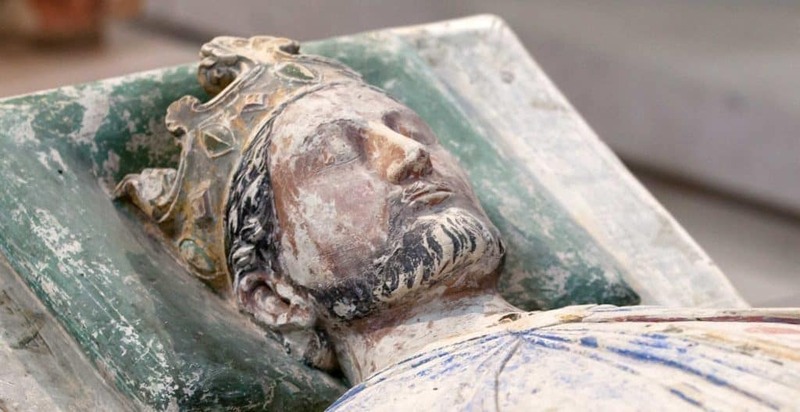 Some chroniclers date his exploits as taking place during the reign of Edward II, but other versions say the king was Richard I, the Lionheart. All versions of the Robin Hood story give the same account of his death. As he grew older and became ill, he went with Little John to Kirklees Priory near Huddersfield, to be treated by his aunt, the Prioress, but a certain Sir Roger de Doncaster persuaded her to murder her nephew and the Prioress slowly bled Robin to death. With the last of his strength he blew his horn and Little John came to his aid, but too late. Little John placed Robin’s bow in his hand and carried him to a window from where Robin managed to loose one arrow. Robin asked Little John to bury him where the arrow landed, which he duly did. A mound in Kirklees Park, within bow-shot of the house, can still be seen and is said to be his last resting place. Little John’s grave can be seen in Hathersage churchyard in Derbyshire. But what of Maid Marion? Not much of Robin’s career is known, but nowhere in the chronicles is Maid Marion mentioned, so we must assume she was ‘added’ to the stories at a later date. So, Robin did exist, but not in quite the same way as the Robin Hood we all think of, the cinematic Robin of Sherwood, Prince of Thieves! The story of Twm Sion Cati, also known as the ‘Welsh Robin Hood’.